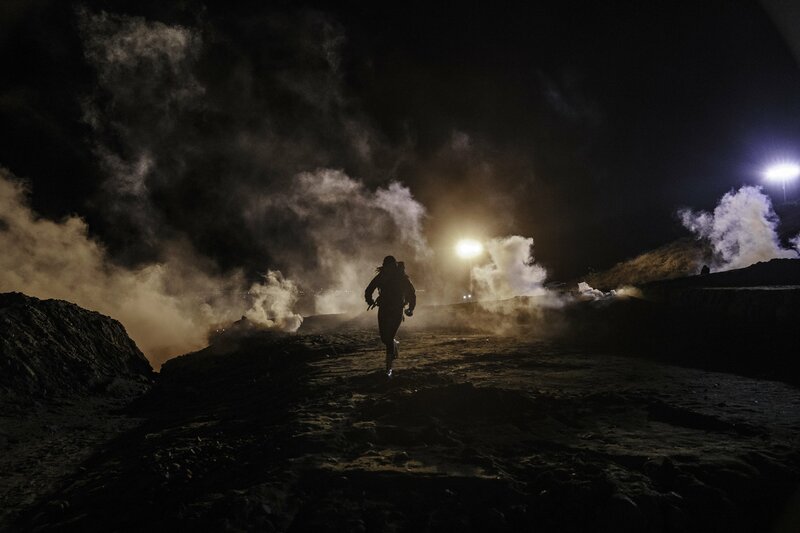 TIJUANA, Mexico — U.S. authorities fired tear gas into Mexico during the early hours of the new year to repel about 150 migrants who tried to breach the border fence in Tijuana. U.S. Customs and Border Protection said in a statement that about 45 migrants got through the first layer of fencing but turned back when they saw the border patrol’s presence early Tuesday. CBP said migrants began to throw rocks at agents from the Mexican side while others tried to cross the concertina wire, including passing “toddler-sized children” over the wire. However, an Associated Press photographer saw at least three volleys of gas launched onto the Mexican side near Tijuana’s beach that affected the migrants, including women and children, as well as journalists. The AP saw rocks thrown only after U.S. agents fired the tear gas. The AP photographer was on the Mexican side of the border, while border patrol agents who provided the information for the CBP statement were on the U.S. side. The incident took place between a highway and the border fence. The area is flat near the highway, then slopes sharply downward closer to the fence, where most of the migrants were clustered. U.S. authorities also had a helicopter flying over the scene during the incident so presumably the government has video that could show what was happening on both sides. The agency said 25 migrants were detained, while others crawled back into Mexico through a hole under the fence. CBP said that under its use of force policy, the incident would be reviewed by its Office of Professional Responsibility. The caravan left Honduras in mid-October and grew to more than 6,000 members during its month-and-a-half trek north. It has been a constant target of President Donald Trump, who referred to it frequently before U.S. midterm elections in November. Trump has been locked in a fight with Congress over funding for the border wall that he wants to build. The stalemate has led to a partial government shutdown.